Whether you’re shopping for a new Toyota car or you’d like to order Toyota car parts for your vehicle, we’re ready to assist at our Toyota dealership serving Des Plaines, IL. You can rely on us to supply all the information you need to making purchasing, service, or financing decisions. If you have questions about something you don’t see here, please give us a call at (877) 232-7530 or connect with us online. We’ll be happy to help. 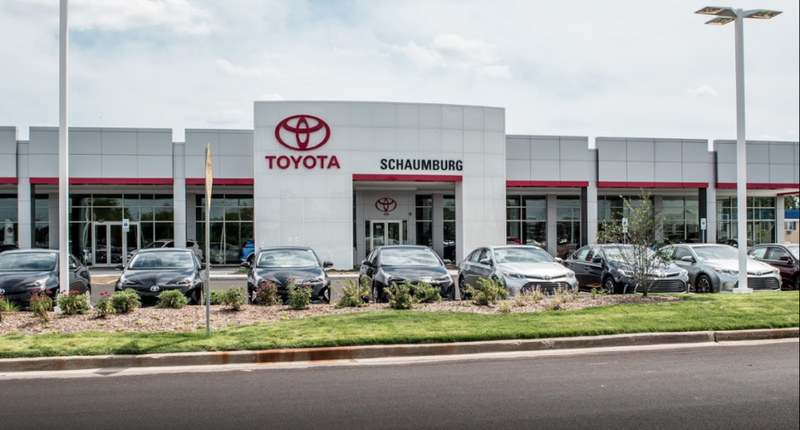 A: When you test drive a new or pre-owned Toyota vehicle at Schaumburg Toyota, we recommend that you keep a checklist of items like comfort, utility, functionality, ease of use with tech features, and the general driving experience. This will help you get a better sense of whether the model matches your driving style and buying criteria. Q: Is there a day of the month that’s best for purchasing a new car? A: While an ideal time to buy varies on factors like the model of interest, your budget, and availability, we might recommend stopping by during a weekday since weekends tend to be a busy time for car shoppers. We also encourage you to check in to see when new models arrive at our dealership and stay up to date about deals and incentives that might work to create an ideal buying time for you. Q: What kind of services do you offer at your Toyota service center? A: We are proud to offer a range of maintenance services like fluid inspections, oil changes, tire rotations, and brake checks. Our collision center is also equipped to service your vehicle in the event of a minor or serious traffic accident. You can always expect attentive and prompt service from our factory certified technicians. Q: Do you offer express service? A: Yes. If you’re in need of a quick check or procedure, we encourage you to take advantage of our express service. Whether you need an oil change or multi-point inspection, we can take care of it for you quickly and accurately. Schedule your next appointment online or by giving us a call at (877) 225-6496. Q: What kind of financing services do you offer? A: You’ll find a number of leasing and financing options for every budget and credit history at our car finance center in Schaumburg, IL. Contact our team with questions or to get started with the process by using our online form, calling (877) 232-7530, or stopping by in person. Q: How can I find out the value of my vehicle trade-in? A: Our finance team is here to provide an assessment of your vehicle trade-in value. If you’re curious and want a quick quote before meeting with a financing team member, use our online trade-in value tool. A: Our dealership is not open on Sunday, but we are open for business Monday through Friday from 9:00 a.m. to 9:00 p.m. and until 6:00 p.m. on Saturday. Our service and parts departments open at 7:00 a.m. during the week and at 8:30 a.m. on Saturday. A: We’re Illinois Toyota dealers who care about each of our customers having the most personalized experience possible. You won’t be another number to us. Instead, you can trust our experienced staff to provide the attentive and individual service you deserve for your automotive needs.